Just when you thought you were well versed in weed etymology, when you think you’ve got the lingo down pat, a passing phrase in conversation throws you for a loop. What is a dime of weed? Didn’t you hear your dad say that once? More importantly, does anyone besides your father even use the phrase anymore? Truth told, regulation is changing the market, and a dime bag of weed is going to be harder and harder to come by. Nickel and dime bags are a lingering reminder of how the underground weed industry used to work. When you were getting your weed from the shady dealer behind the corner store, or the hippy with the long dreadlocks at the music festival, there usually wasn’t much choice. Unlike dispensaries today, back then, you didn’t have any product options at all. Did the dealer have an indica? Did he have a sativa? Maybe your dealer just made up a cool sounding name to help sell what was realistically ditch weed. In the past, dealers priced all weed the same. There was no reason to differentiate on price. Yes, you could buy in bulk for a discount, but 10 dollars worth of weed from one dealer was pretty much the same as any other. These days, dispensaries and legalization have dramatically changed how people sell weed. Customers want to know exactly what they are buying. They increasingly want to know the cannabinoid content, the potency, and where it came from. The diversification of the cannabis market has led to a diversification in price point. 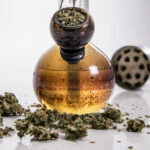 A typical dispensary will price their products accordingly. Just like the different kinds of apples available at the grocery store, weed now comes at a variety of price points and is sold by weight. In the past, it wasn’t so clear-cut. What is a Dime Bag of Weed? Way back when dime bags were a common way to sell weed. Instead of the name referencing the total weight of the product, it referenced the price. The term dime bag indicated that you were buying 10 dollars worth of weed. But exactly how much weed were you getting? It truly depended on where you lived, the quality of weed, and often the whim of the drug dealer. The true weight of a dime bag varied widely from one dealer to the next. If you had a good relationship with the guy, you probably got a pretty good deal. If it was your very first purchase, you probably got a little less. More often than not, at least in the American and Canadian markets, a dime bag should have equaled roughly a gram of weed. Unfortunately, the price point also wasn’t a good indication of quality. It’s highly likely that a dime bag of potent northern California bud in 1995 was of slightly higher quality than a dime bag of weed from Minnesota. In summary, back when dime bags were a legitimate way to buy weed, it wasn’t a very good description of either size nor quality. 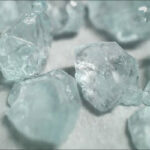 A dime bag bought you more or less than a gram of weed and indicated indeterminate quality. What is a Nickel Bag of Weed? A nickel bag of weed isn’t much better at describing its contents than a dime bag. In fact, it’s probably a worse description, because it was only worth five dollars. In today’s weed-friendly world, it’s incredibly hard to image rolling up the dispensary only to buy five dollars of chronic. Today the average per transaction purchase in the United States is much higher than a measly five dollars. As early as 2015, Colorado medical marijuana transactions averaged around 80 dollars. In Washington, the average per person purchase was 73 dollars. Can you even find marijuana at a dispensary for five dollars? Back in the day, a nickel bag of weed costs five dollars, and according to the stories, usually didn’t amount to much. Most nickel bags were mixtures of shake, the lowest quality of ditch weed, or maybe even oregano. Dealers didn’t make much money from nickel bags and therefore didn’t put much effort into what went in them. What is a Dub Sack? A dub sack is less well known than either a nickel bag or dime bag, but it was a similar form of measurement. Instead of indicating the weight, it indicated the amount the bag cost. A dub sack was 20 dollars, but the contents varied widely from one place to another. 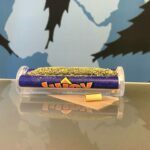 If you dig through the internet forums from the early 2000’s, before dispensaries came into the picture, a dub sack came in many different sizes. Some people reported that a dub sack was eight grams of good weed, and some people said that is usually only a gram. Quality also varied. 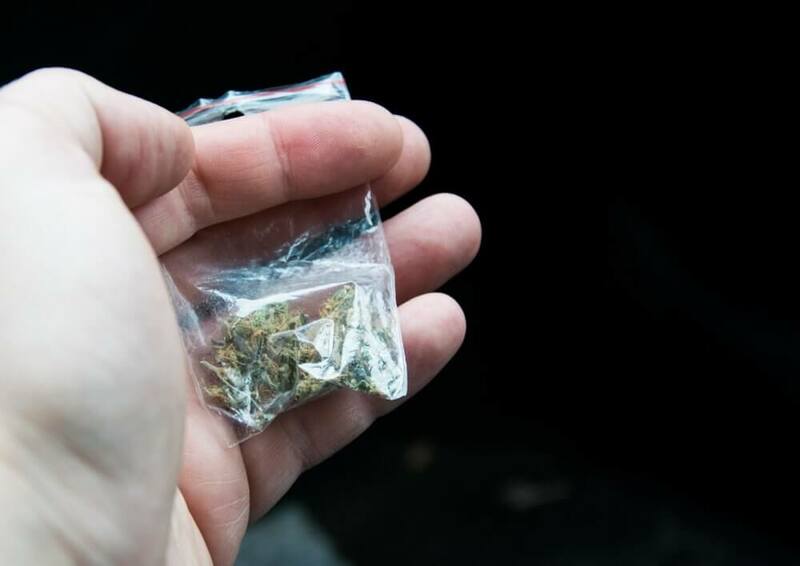 Although you can easily do the math that two dime bags of roughly a gram each, would equal a dub sack of roughly two grams, this wasn’t always the case. As with the other antiquated terms from the recent past, the quantity and quality of a dub sack were highly variable. How Much is a Dime Bag Around the World? What about if you live outside of the continental U.S? Did a dime bag still mean the same thing? The language wouldn’t have been the same, but did the equivalent of 10 dollars in the U.K buy the same as in India? In today’s economy, just as in years past, the price of weed was vastly different from one region to another. Because weed isn’t legal everywhere, and in fact still is highly illegal in some countries, the demand is high and the supply low. In countries like Japan, it’s challenging to find any weed at all. 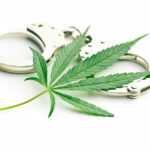 The possible legal repercussions are high if caught. Because of this danger, ten dollars of weed in Japan is only going to get you 0.25 grams. But in India, the motherland of the spiritual herb, weed is much, much cheaper. It does vary depending on where you purchase in India, but you’ll always get lots of bang for your buck on the Indian sub-continent. For example, in Northern India, 500 rupees (less than ten dollars) was about ten grams of weed. In Goa, 15 dollars would buy you five grams of good hash. Ten dollars worth of weed from one country to the next fluctuates based on supply and demand. The local laws aren’t going to stop people from smoking weed, but it will increase the price per gram. How much does weed cost in your country? What is a Dime Bag Today? Even if a dime bag doesn’t truly exist anymore in legalized states, some places and some aging dealers might still use the terminology. 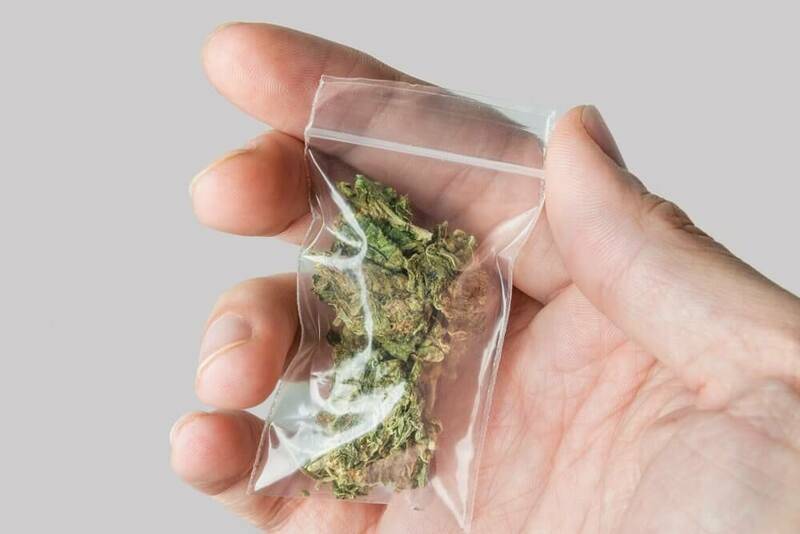 Before agreeing to buy a dime bag off your dealer, be sure to get a good look at it first. Smell it, weigh it, and decide if it’s really worth 10 dollars. In a dispensary, both recreational and medical marijuana is sold by weight, typically by the gram. 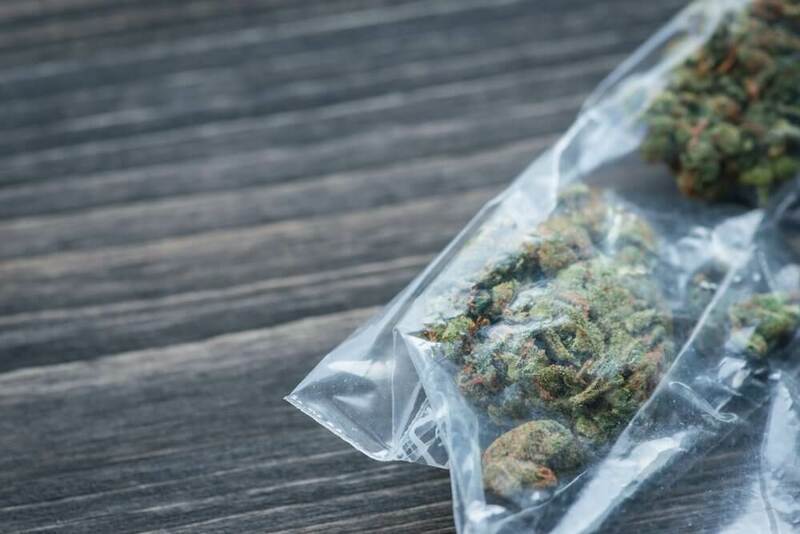 Some places may have discounts if you buy in bulk, like a quarter or an eighth of weed, but likely most stores will sell on a per gram basis. There are still prices differences between states with legal access, but now the industry is much more regulated. In Washington for example, the average for high-quality medical marijuana is over 18 dollars a gram. Low grade medical is 9.25 dollars per gram. In Arizona, the price is slightly better. High-grade medical marijuana is just over 13 dollars. Canadian prices through a dispensary are also better, ranging from 10 to 13 dollars depending on quality. As a comparison on how regulation effects price, in Australia, there re no legal budtenders and the prices can get out of control. The average street price ranges from 10 to 18 dollars, quality dependant. Because people are paying more attention to quality and quantity, it’s time to stop using dime and nickel bags as a form of measurement. 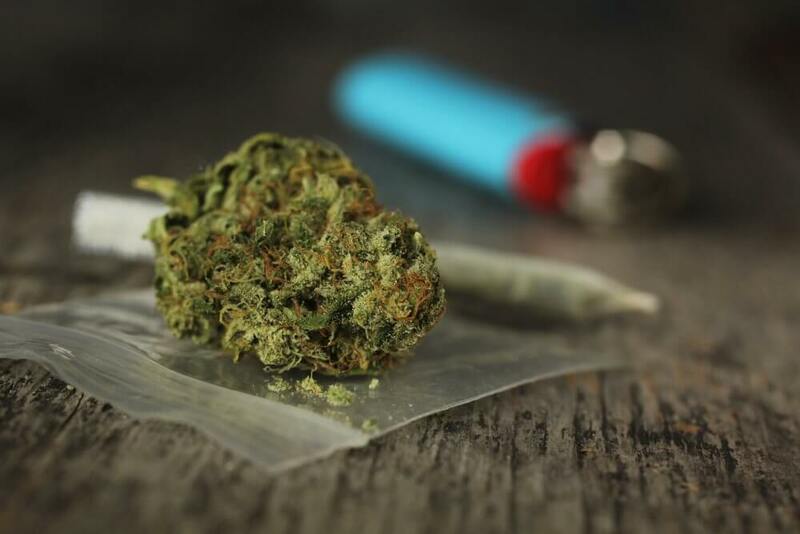 In the past consumers couldn’t take their dealer to task for shorting them on the product, or selling them ditch weed instead of potent chronic. Things are different in today’s market; consumers can safely speak with their dispensary if there are any concerns about quality. Because now there are regulations and quality controls in place, selling weed based on weight is a much better system. There’s no reason to use code words like dub sack when doing the deal. Plus, now you can purchase any quality of marijuana you want, and spend your 20 dollars on the quality of weed you want.